Following the success of our Estimating Team’s visit to the School of Planning, Design and Construction (SPDC) at Michigan State University, DeMaria has once again returned to campus! In search of a more “hands-on” approach for his Construction Safety course, Dennis Welch (Instructor of Construction Management, MSU SPDC) was referred to DeMaria Corporate Safety Manager, Marty Huizar. Huizar, along with two representatives from Hilti, delivered an in-depth presentation on Silica Safety to Welch’s Construction Safety course. The presentation began with an overview of Crystalline Silica and the effects it can have on one’s health. Huizar went on to discuss the OSHA industry standards (updated in 2016) and how employers currently apply them in the field. Adam and Allan, representatives from Hilti, then stepped in to share their expert knowledge on Exposure Control Methods featuring Hilti equipment. 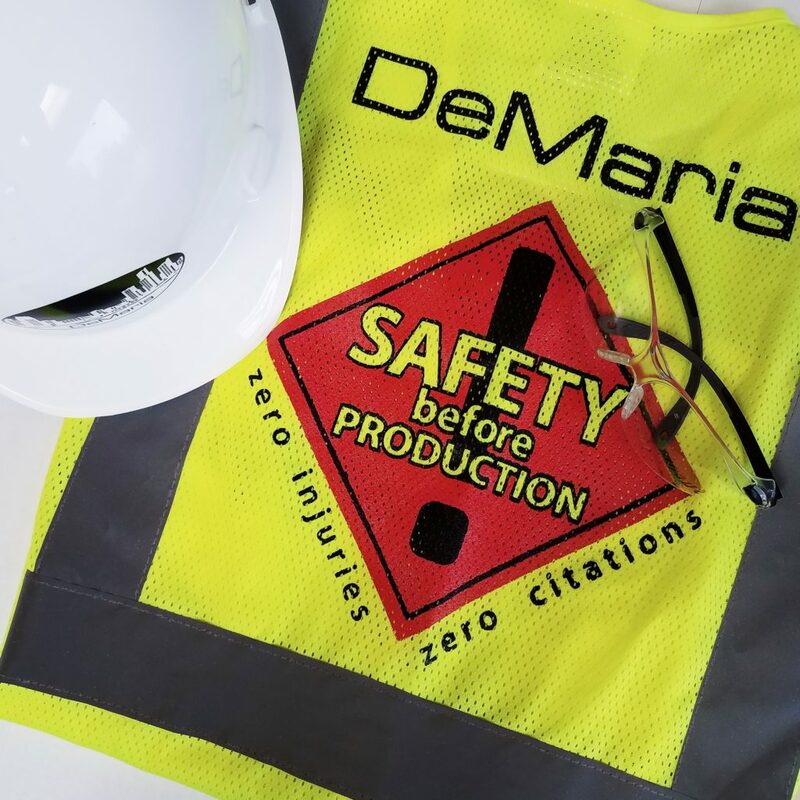 It’s no secret that safety is DeMaria’s #1 priority and that it will never be sacrificed for production. We are committed to providing a safe and healthy work environment for employees, subcontractor employees, visitors, and guests. DeMaria is honored to be a representative from the industry to share with MSU CM students the level of commitment we have for construction safety.